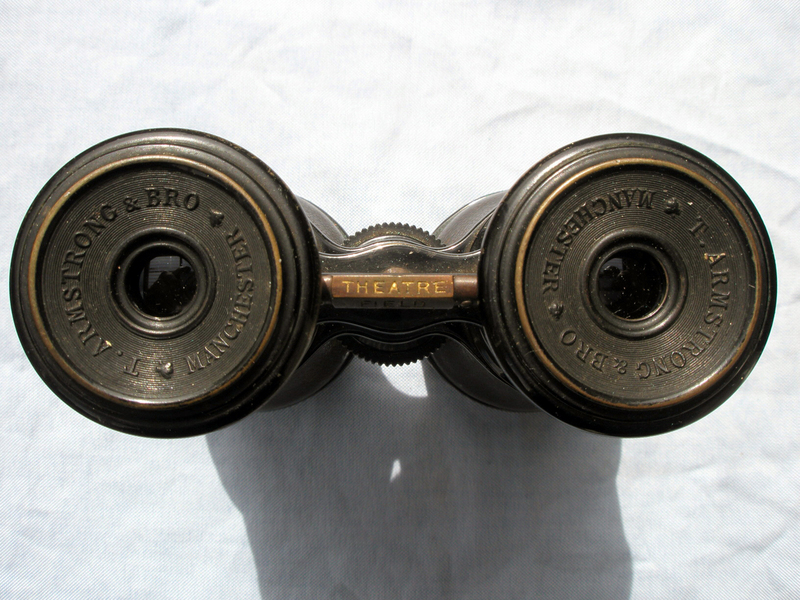 Thomas Armstrong & Brother Limited binoculars. Image courtesy of H. Hill. 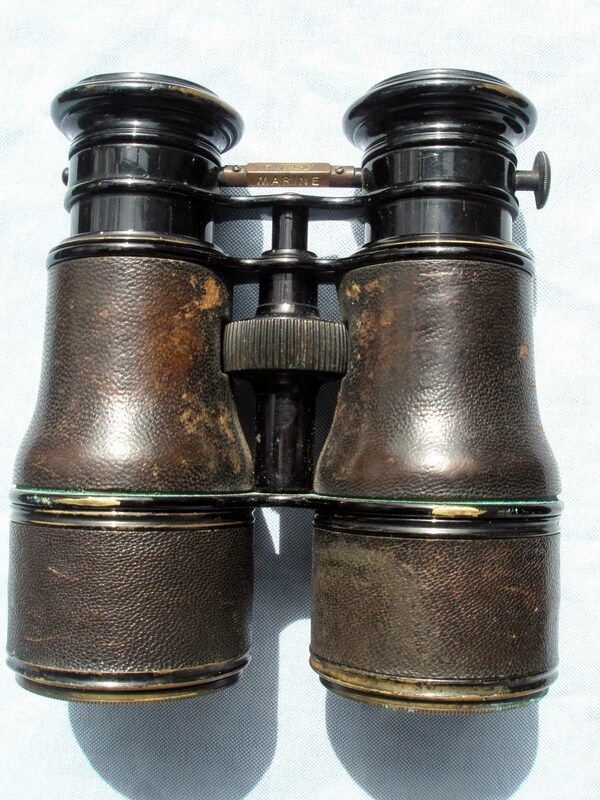 This is a pair of binoculars or Galilean Field Glasses by Thomas Armstrong & Brother Limited. They are also known as opera glasses or theatre glasses, traditionally used at performance events where the extra magnification gives a better view. 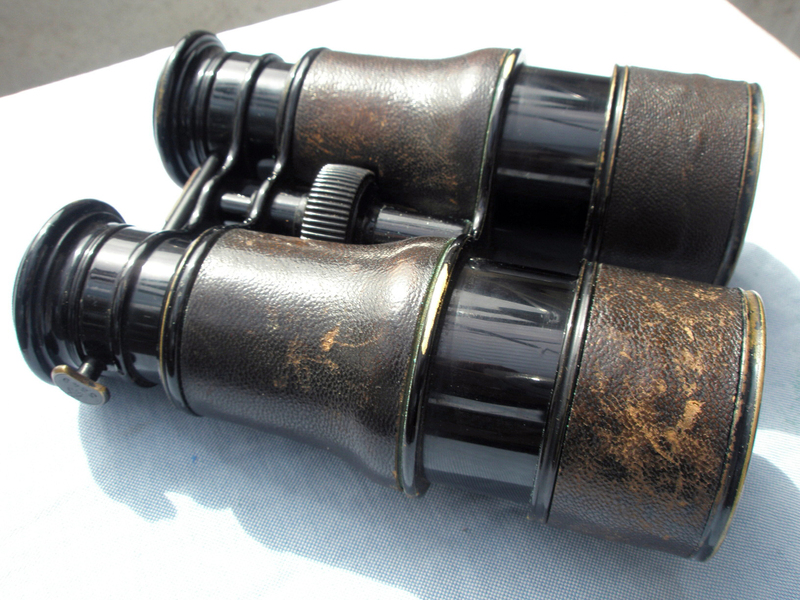 They are particularly popular amongst horse racing fans, where the portability and extra magnification affords a better view of the action. Victorian diamond sapphire rose gold brooch by Thomas Armstrong & Brother Limited. Image courtesy of J. Shaw. 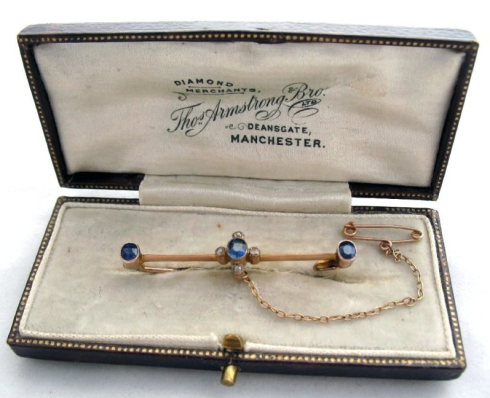 Thomas Armstrong & Brother Limited were renowned producers of scientific instruments, in particular optical equipment between 1837 and 1901. Like many businesses of the time and indeed now, they looked at every opportunity to expand their market and to turn a profit, dealing in diamonds and decorative jewellery for a period of time, like this unmarked Victorian 9 carat rose (gold and copper alloy) gold brooch (pictured right). Detail showing the worker bee. Image courtesy of H. Hill. 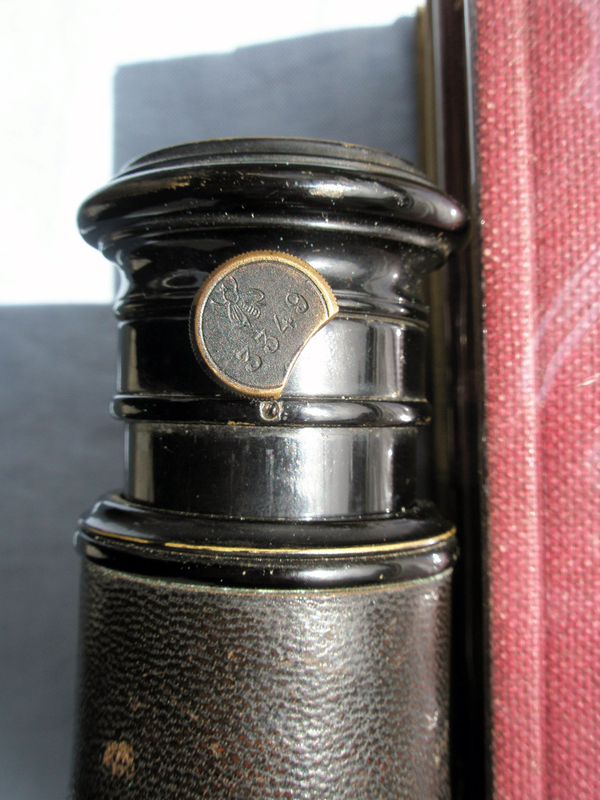 Looking down on the eyepieces you can see the word ‘theatre’, ‘field’ and ‘marine’, which are fixed on the spindle or eyepiece-changing mechanism and represent three different views and three different magnifications. According to Watson (1995), in Binoculars, Opera Glasses and Field Glasses, “the differences in magnification are not great” (p. 10). Image courtesy of H. Hill. Of particular note is what on first inspection looks like two blobs separating the makers name (T.Armstrong & Bro) and city (Manchester). However, these seemingly unremarkable blobs are actually worker bees, denoting it was produced in Manchester. The worker bee has often been used to represent industry and productivity and it was for this very reason it was adopted as the motif of Manchester during the Industrial Revolution and incorporated into the coat of arms in 1842, when Manchester was a hive of activity and was changing forever how products were produced and made. Today the worker bee can be seen adorning many buildings and street furniture throughout the city of Manchester. Worker detail. Image courtesy of H. Hill. Thank you to H. Hill for the invaluable help I received in writing this post. Watson, F (1995). 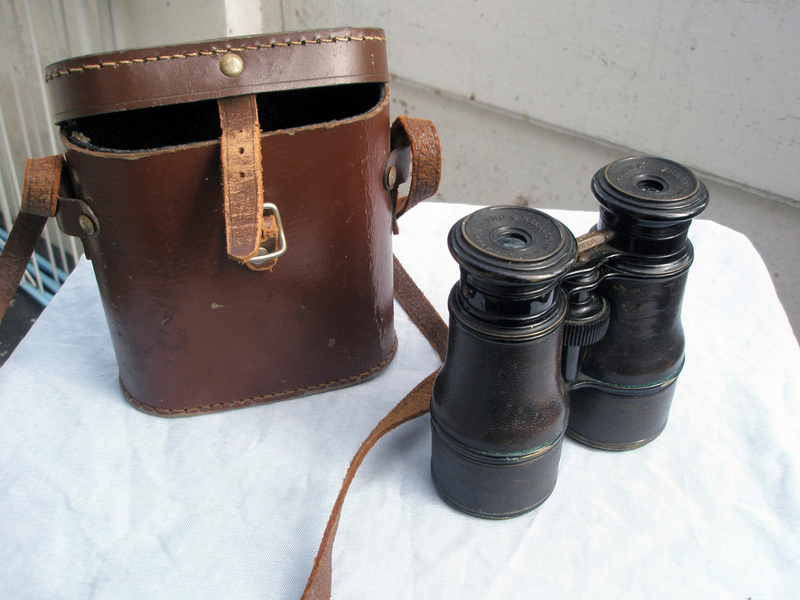 Binoculars, Opera Glasses and Field Glasses . Oxford: Shire Publications Ltd. p10.